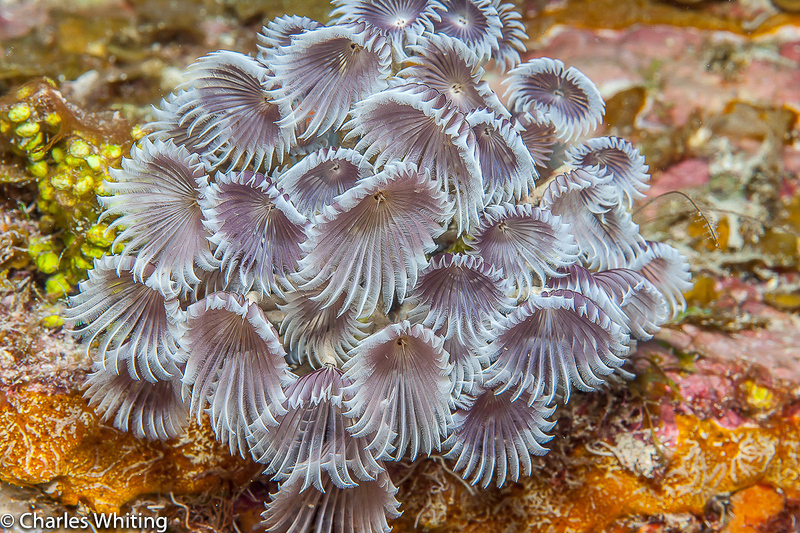 Social Feather Duster Worms filter nutrients carried by the sea currents. Cay Sal Banks, Bahamas. Photo © copyright by Charles Whiting.